Valentine’s Day is fast approaching. Maybe you are the procrastinating type and have yet to get a gift? Instead of having to go out and buy something typical for that someone special, why not think outside of the heart-shaped box? Maybe your significant other is a huge techie like you, or maybe they could stand to have a tech upgrade. Samsung has exactly what you may need for that handsome/beautiful tech fanatic in your life. And, if you know Samsung like the rest of us do, you are aware of their love for all things big screened. Valentine’s Day is a big holiday. 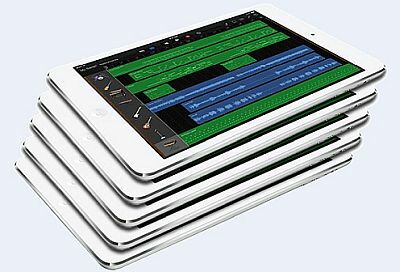 It would only make sense to celebrate with the new large screen Galaxy Pro Tablets. 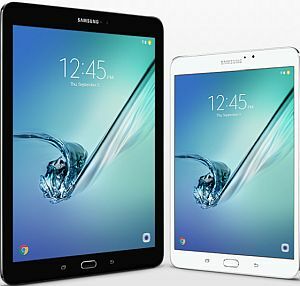 Just like clockwork, Samsung has finally dropped their release date for the Galaxy Tab Pro and the Galaxy Note Pro. Just in time for last minute Valentine’s Day shoppers with deep pockets, these two new over-sized tablets will be out on February 13. For those looking at these new devices, but still unsure as to what is so “Pro” about them, look no further. First thing’s first. As with almost any Samsung device, the screen is incredibly huge. The large screen is not without purpose though. That big screen is going to come in handy for the 2,560 x 1,600 pixel count that both the Note and the Tab models carry. They both come standard with 3GB of RAM and Wi-Fi capabilities. These two new tablets will be running off of the Android 4.4, or “KitKat” OS. While they might seem pretty standard in terms of what they can do, they will both feature a nifty little app called Remote PC. This app gives the user direct access to their office or home Windows PCs right from the tablets app. 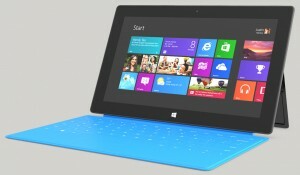 Expect both of the tablets to also come in LTE and Wi-Fi versions as well. They do share differences as well though, so don’t think that just because they have similarities means that they are without their own unique features. 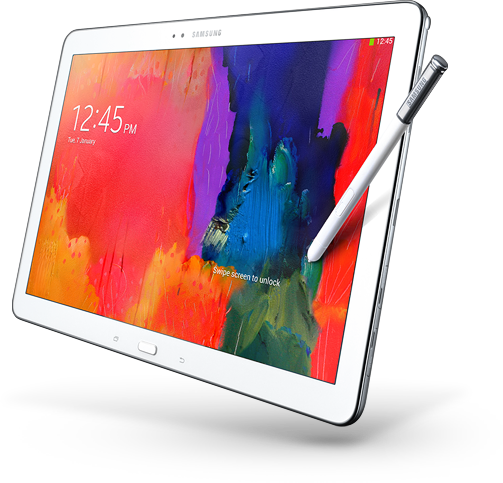 For example, the Galaxy Note Pro comes with a specialized app called S Note, and many other apps that support the S Pen stylus that only comes with the Note Pro. The Galaxy Tab Pro is looked at as the main consumer model, and as such, contains features that cater to a mass market. 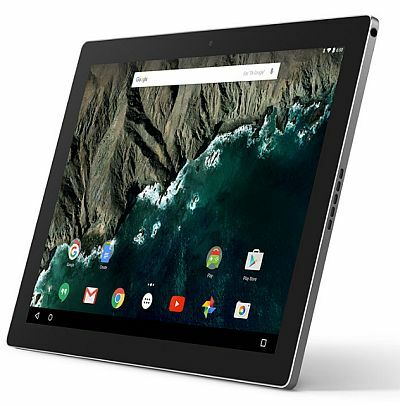 The Tab Pro comes with software, only available with this particular model, that grants the ability to use the tablet as a TV remote. Samsung loves having big screens on every product they release it seems, but those big screens don’t come without a price, naturally. 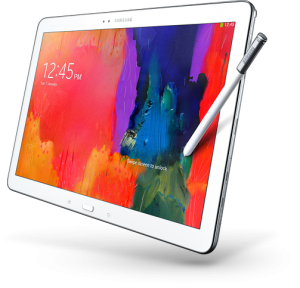 The Galaxy Note Pro’s 12.2″ screen and 64GB of storage will set you back a nice $849.99 this V-Day. Should you not need that much space you can pick up the 32GB version for $100 cheaper. The Galaxy Tab Pro seems to be a bit more forgiving. Since it is being offered in 3 different screen sizes, it comes with 3 different price ranges. 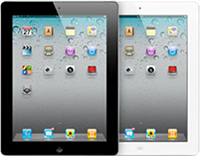 The 12.2″ 32GB version will cost you $649.99, $499.99 for the 10.1″ 16GB version, and $399.99 for the 8.4″ 16GB version. Valentine’s Day can be a day for both your loved one and your love for tech, as long as your wallet allows it. 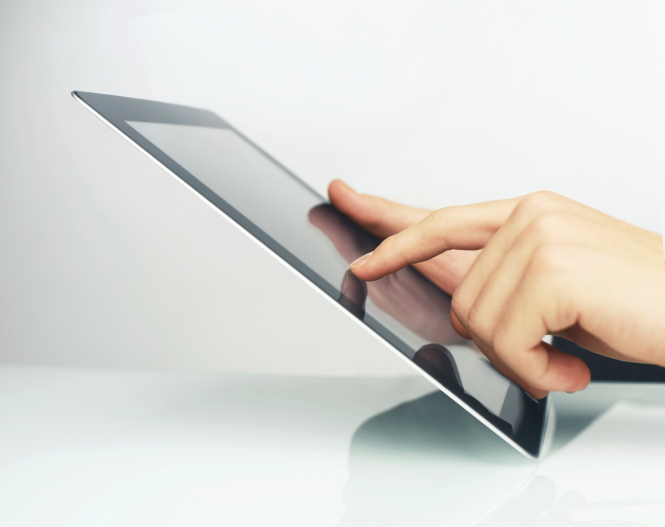 Need A Hundred Tablets For Your Next Business Event? www.RentOurTablets.com Can Help!